The Knife Long handle is 5 1/2" long, 1 1/4" wide and the drop blade is approx 2 3/4" long and 3/8" wide....and sharpened at the bottom of the drop blade. Made from good quality steel from Japanese steel plants. 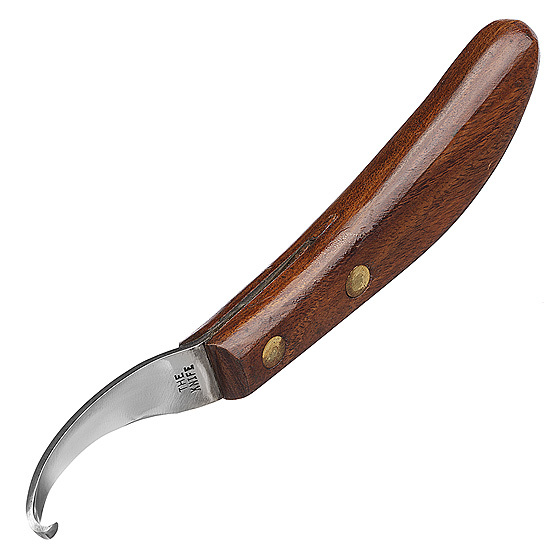 This hoof knife is easy to sharpen. Rockwell 'C' Hardness.